Atma presents Mahler’s Symphony No.10 with the Orchestre Métropolitain under the baton of international superstar conductor Yannick Nézet-Séguin. 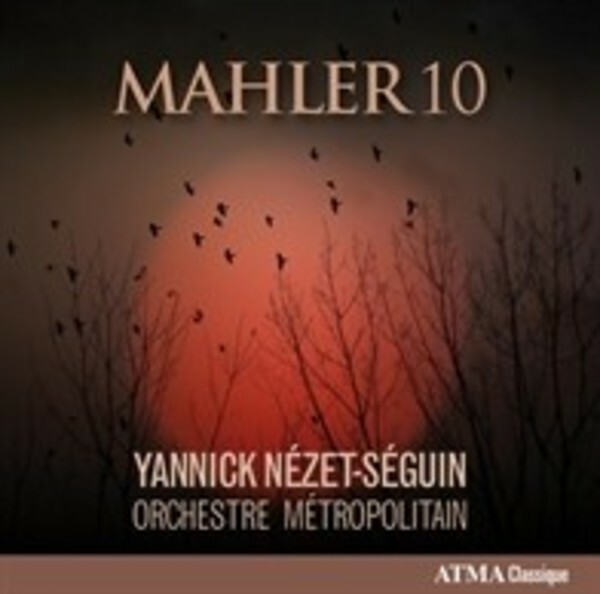 Made in the exceptional acoustics of La Maison symphonique in Montréal, where this symphony formed part of the 2014 season, this marks the first CD recording of Mahler’s Symphony No.10 by a Canadian orchestra. When Mahler died, only the first movement of the Symphony No.10 was completely finished and orchestrated. Musicologist Deryck Cooke subsequently made a performing version of the unfinished draft left by the composer. According to Cooke, had Mahler completed the orchestration, he would have probably made endless changes to the score until he was completely satisfied. Symphony No.10 remains a masterpiece, a legacy of inestimable value. Yannick Nézet-Séguin has been at the helm of the Orchestre Métropolitain du Grand Montréal since 2000 and is at the forefront of Canada’s music scene, in addition to leading a flourishing conducting career on the international stage. In September 2008, Yannick Nézet-Séguin was chosen unanimously by the musicians to become Music Director of the prestigious Rotterdam Philharmonic Orchestra, succeeding Valery Gergiev. He will hold concurrently the function of Principal Guest Conductor of the London Philharmonic Orchestra. Nézet-Séguin's reputation continues to grow and his masterful connection with the Orchestre Métropolitain lends itself beautifully to this wonderful symphony.